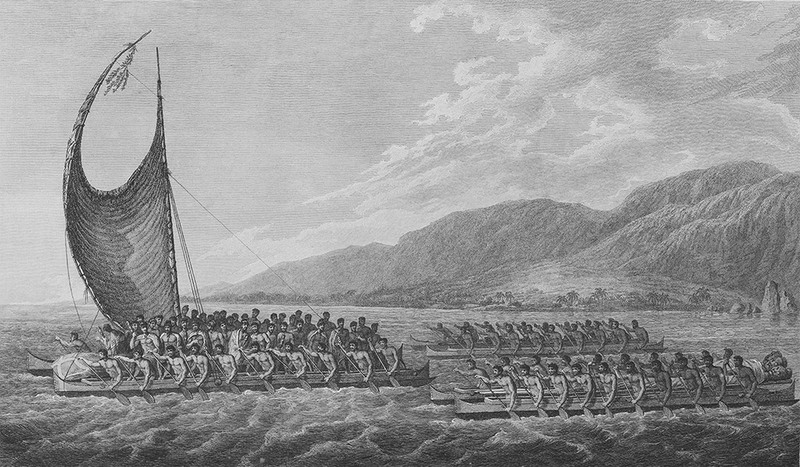 “Kalaniopuu, King of Hawaii, bringing presents to Captain Cook,” 1784. Over thousands of years, Polynesians migrated across vast distances and spread their culture across the Pacific. But they left no written record. Modern voyagers have recreated their routes, canoes, and methods. They suggest early Polynesian navigators sailed from island to island by observing Sun and stars, wind and waves, and the behavior of birds and fish.